Approximately half of the country’s land area is devoted to farming, chiefly for export commodities. Most nutritious food produced here leaves the country. In 2015, the country benefited from strong cacao production and plunging oil prices. But the small size of Sao Tome’s population and economy remains a significant obstacle to development. In 2015, more than 60 percent of the population was estimated to be living below the national poverty line of USD 1.70 per person per day. The mortality rate for children under five was high, at 51 per every thousand. With Sao Tome heavily dependent on food imports, food availability is unpredictable. Infrastructure challenges exist given there is no deep sea port and landing planes is difficult during bad weather on the country’s one short airstrip. No cereals are cultivated on the islands. The country is also prone to natural disasters such as floods and landslides, which negatively affect crops and road access as well as destroy houses and household assets. WFP has been present in Sao Tome and Principe since 1976. Central to poverty reduction is education, where WFP assistance is concentrated. WFP focuses on supporting the government with capacity development activities. The objective is for the government to acquire sufficient capacity to manage a national school feeding programme on its own. This is brought forward by gradually transferring the responsibility of providing daily hot meals to schoolchildren from WFP to the government. During this gradual transfer, WFP continues to provide technical assistance to the Coordination Unit of the National School Feeding and Health Programme (PNASE) and the Government. The eventual hope is to start a Home Grown School Feeding (HGSF) program as a social safety net project. WFP also supports the government’s efforts to increase access to basic education through food and nutrition assistance as well as food security analysis tools such as the Comprehensive Food Security and Vulnerability Analysis (CFSVA) and to improve gender equality among men and women. 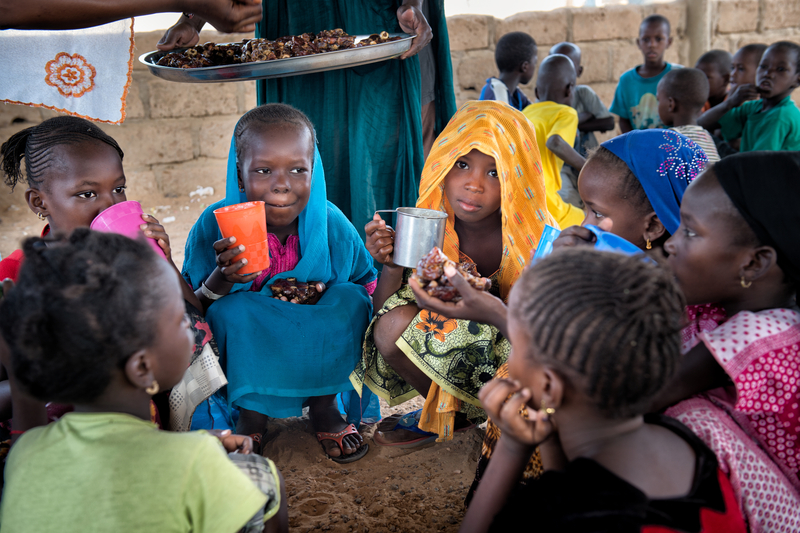 Additionally, WFP is working together with UNICEF to improve hygiene and sanitation in schools and kindergartens as well as with the government to integrate nutrition aspects in the national nutrition policy and strategies to support people living with HIV.